Masonry & Landscape materials supplier - natural stone, manufactured stone, clay brick, thin brick Spent almost 11 years at a large company in brick, block and stone sales. Highly value my time there, lessons learned, knowledge gained and relationships made. Left in June 2013 to make a go of things on my own. Peninsula Stone quarries beautiful natural building and landscape stone from areas around Wisconsin's rustic Door County, a popular peninsula known for its rugged natural beauty and majestic views of Lake Michigan. Peninsula Stone works with clients primarily in Wisconsin and surrounding states as well as throughout the continental U.S. We supply both thin and full veneer building stone in a variety of hues, colors and blends to match our customers needs. We are a privately owned company with owners who are fully involved in the production process and are meticulously committed to quality and customer satisfaction. 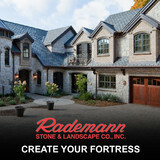 Founded and located in an area where the natural ground material is limestone for miles deep, Rademann Stone & Landscape Co., Inc. is a family-owned company that take's pride in quarrying and producing building stone, cut stone, and landscape stone for dealers throughout the Midwest . Our expertise in the stone business dates back to the 1940's where our craftsmen, then and now, still quarry the Niagara Dolomite vein - commonly called the Niagara Escarpment or locally speaking “The Ledge”. The Niagara Escarpment stretches a total of 230 miles in Wisconsin and continues northeast as an underwater and subsurface feature, bending through the Great Lakes and resurfacing 500 miles later at Niagara Falls . It may be easier to visualize the escarpment as being a giant saucer, with one edge exposed in eastern Wisconsin and the other in western New York With two locations on the eastern Wisconsin edge, Rademann Stone & Landscape Co., Inc. quarries and produces stone products that are unique to our area and reflect years of history. Both our Fond du Lac and Chilton quarries provide us with a range of size, color, and texture. From custom projects to simple weekend jobs, Rademann Stone & Landscape Co., Inc. is the answer to naturally adding beauty, durability, and value to your investment. Bastian Concrete Construction has been building a legacy in cast-in-place architectural concrete since 1981 and provides a combination of decorative and traditional, exterior and interior flatwork for both commercial developers and residential clients. Operating from Madison, Wisconsin, Bastian Concrete Construction uses a variety of Bomanite systems including Bomanite Imprinted Concrete, Bomanite Patène Artectura Coloration Systems, Bomanite Custom Polished Concrete Systems, Bomanite Thin-Set, Bomanite Micro-Top Overlay Systems, Bomanite Florspartic 100 products, Bomanite Exposed Aggregate Systems and Bomanite Pervious Grasscrete. Bastian’s well-earned reputation for success is based on collaborating with landscape architects, owners, engineers, and other stakeholders to review variables and make solid recommendations about the best concrete solution for each job. During design, solutions are evaluated for cost, constructability, long-term durability and the client’s aesthetic goals. As construction approaches, we coordinate with owners to tackle the logistical complexities of working amid busy retail centers, office parks, public spaces and residential communities. 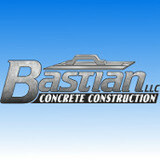 As a regional leader in concrete innovation backed by more than 40 years of hands-on experience in specialty concrete, Bastian leads the way while also benefiting from access to additional technical knowledge through Bomanite’s nationwide network of vendors. Bastian Concrete Construction has been a continual presence on many important local projects including the imprinted concrete installations at Greenway Station in Madison. We enjoy developing and maintaining long-term client relationships that stretch over many projects and many years of continued service. Our reputation for quality and commitment to your interests sets the foundation for our legacy as eastern Wisconsin’s best concrete flatwork contractor. Who we are The Wizards of Concrete have been delivering results since we opened in 2010. Our goal is to provide both a superior customer experience and tremendous value for our customers. William Dossett and John Dossett, his son, have over 50 years of combined experience in the Construction Industry and are passionate about exceeding your expectations. The Wizards of Concrete utilizes the advanced features of Portland Cement to create decorative concrete places, and indoor and outdoor living spaces. We combine staining, stenciling, etching and color management to produce finishes and designs. Our creations are unique and designed to compliment their surroundings. Our stenciled patterns allow for drainage. This prevents the collection of moisture and the frost/thaw cycle that destroys the surface of stamped concrete. Our “simulated wood” staining looks like wood, but wears like concrete. New overlay products allow us to “restore” or add design interest to existing concrete. Call us for a free, no obligation quotation for your concrete project(s). We love our customers and welcome your feedback and suggestions. Use our Contact Us page to tell us what we’re doing right or what we can improve on. Polished Concrete is a family owned and operated business serving the greater Milwaukee area and the outlying suburbs with quality concrete craftsmanship. At Polished, we know our customers expect the highest quality but we also understand that it can’t stop there. We equally focus on offering one of the most professional contracting experiences in the area including detailed evaluations and estimates at no charge. We offer in-house design services and have the ability to resolve complex drainage and grading problems. Owners Jim & Ryan are actively involved every day helping to meet the needs of each customer. We have a large, well trained installation staff and plenty of equipment to get the job done efficiently while maintaining the highest level of quality. All of our work carries a 5 YEAR LIMITED WARRANTY in writing. So maybe it’s a custom patio you want or perhaps you need a new driveway to solve some drainage issues, either way we can get it done for you in a way that is…”Polished”. TK Mason, LLC specializes in masonry repair and restoration services in addition to new construction. We work with brick, cement block, stone, plaster and concrete. We can help with tuck pointing, lintel replacement, and replacing cracked, spalling or missing masonry materials. We build retaining walls, repair and rebuild chimneys, install decorative interior stone, repair foundation and basement walls throughout Southeastern Wisconsin. Dale Anderson Masonry has been an industry leader in southern Wisconsin for over 40 years and counting. What started out as hundreds of block basements and brick jobs has evolved into an organized, efficient building partner, working on world-class, uncompromising homes and projects. While we still perform private work for homeowners, the majority of our business is with high-end builders and architects that demand excellence, attention to detail, and cooperation in completing stellar homes. Builders have come to appreciate our partnership, the way we operate, and the pride we take, while our work adds beauty and durability, creating showpieces that sell themselves every time someone passes by. DAM has produced beautiful and long lasting masonry solutions longer than much of its competition has even been alive, enjoying an A+ Better Business Bureau Rating. Combining time-honored technique with cutting edge innovation, DAM’s master masons use natural stone, brick and block to create durable, stunning designs: attention-grabbing, memorable interiors, exteriors, fireplaces, bake ovens, masonry heaters, patios, and pavers, for homeowners and businesses throughout southeastern Wisconsin. PAVCO of the Fox Valley, LLC. originated in 1996 offering both professional residential and commercial hardscape design and installation services. PAVCO services North East Wisconsin with over 25 years of skill, knowledge and experience. With offering Free Estimates, On Time Completion and Guaranteed Satisfaction, PAVCO of the Fox Valley is your #1 choice for a landscape contractor. Stop by our location and browse through our beautiful landscaped display areas. There are many different products displayed in our walkways, patios, flowerbeds, retaining walls, water falls, ponds, putting green, outdoor grill and outdoor fireplace. Our Mission at Thiermann Mudjacking: At Thiermann Mudjacking our goal is providing prompt professional service. We do everything from start to finish. Not only do we take pride in our work, we also value our customers and the relationships we build with them considering most of our business is from referrals. We offer free estimates and a great knowledge. Our knowledge will save you money and give you peace of mind. No job is too small. We have been servicing southeastern Wisconsin for many decades. The Story Behind Thiermann Mudjacking: I met my wife Deby in 1978 while going to school for Engineering and Tool & Die. During the summer months, I learned the art of mudjacking from my father-in-law who started right out of WWII. For many years I was employed with one of America’s largest Tool & Die Company’s working as a Project Leader. After my father-in-law’s retirement, and missing working outdoors I started Thiermann Mudjacking LLC. Working weekends by word of mouth, our small business quickly became a full-time business. Our son Shane is also involved in the business and will carry on the family tradition after my retirement. Stone Masons is a masonry contractor / mason serving the Menasha, WI area. Services include Mason, Stone, Fireplace, Steps and Masonry Repair. JL Property Services LLC, is a four season landscaping contractor. We specialize in snow plowing, decorative concrete landscape edging, landscaping, and lawn maintenance. We are fully insured, offer free estimates and are accredited by the Better Business Bureau JL Property Services, LLC was established in 2004. Over the years we have listened to our clients to deliver the highest quality service in commercial and residential landscape maintenance. As we have grown throughout the years we realize that our highest compliment is receiving referrals from our many satisfied clients. Each year our clientelle has grown and so has our desire to provide the best service possible. We will continue to provide Southeastern Wisconsin with our seasonal services for many years to come. Thank you for your time and consideration. We hope to hear from you soon. 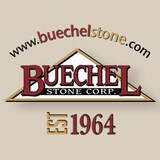 Monacelli Stone Co. is a family owned and operated business located in Lannon Wisconsin. Our company provides lannon stone, bedford stone and Bluestone for both residential and commercial applications. We specialize in a variety of natural landscaping and building stone such as flagstone, outcropping, steps, veneer, hearths, caps, sills and boulders. We take pride in quarrying and manufacturing all of our lannon stone from start to finish. For the most part, people hire a stone or concrete contractor for large installations like driveways and walkways, or for home facades and exterior columns. These brick, pavers or stonework installations can add lots of functionality and visual curb appeal to your Wisconsin home. Pavers come in a wide variety of colors, shapes and sizes, and the right vendor or specialist can help you choose a color and design that complements your existing landscaping. From installing new exterior columns to repairing your chimney, masonry contractors can help you add both visual appeal and value to your property. They’ll know what kind of installation makes the most sense for your Kohler, WI climate and regional style. Looking for something that will develop a patina with time? Or would you rather have your home feel brand new for years to come? Choosing the right kind of stone involves thinking about the future, too. Experienced brick suppliers and stone suppliers can help you find the material that will work for your home now and for years to come. These professionals aren’t limited to exterior work either. Whether you want a split-stone granite wall in the kitchen or need help installing traditional brick masonry on your fireplace facade, you’ll want a professional to get it right. If you’re already working with an architect or designer, he or she may be able to suggest a good Kohler, WI subcontractor to help out. Here are some related professionals and vendors to complement the work of stone, pavers & concrete: Landscape Architects & Landscape Designers, Architects & Building Designers, Garden & Landscape Supplies, Driveways & Paving, Siding & Exteriors. Find stone, paver and concrete professionals on Houzz. Search the Houzz Professionals section for Kohler, WI stone, paver and concrete professionals. 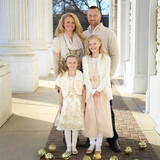 Browse photos and read reviews, and contact a pro if you like their work.